FaceTime, Skype, Twitch. 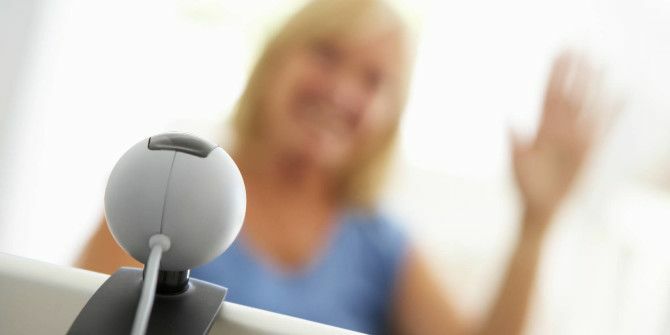 Webcams are used for all kinds of mundane stuff today, but there are some truly strange webcam facts that may induce you to raise a brow or two. 1. There are people who live 24/7 in front of live-streaming webcams. Back in 1996, Jennifer Ringley set up a website called JenniCam and live-streamed every aspect of her home life, including moments of intimacy. At one point, she brought in over 100 million visitors a week. As such, this kind of live-streaming is actually one of the oldest Internet trends 7 Ancient Internet Trends That Affect the Web Today 7 Ancient Internet Trends That Affect the Web Today Today's web might not look or feel like the web of the 1990s, but you'd be surprised by how much of it is actually the same when you dive beneath the surface. Read More . In fact, there are still people who run this kind of experience today, such as the people at RealLifeCam. 2. The oldest webcam in the world has been running since 1994. Known as the San Francisco FogCam, this webcam started as a student project at San Francisco State University. Every 20 seconds, the camera updates with another shot of Tapia Drive. Long story short, it was meant to provide a snapshot of campus life for outsiders. 3. The very first webcam was born out of sheer laziness. Back in 1991, three years before the FogCam, a camera was set up in the University of Cambridge’s computer laboratory, pointed at a coffee pot, and provided a 128×128-pixel greyscale image when accessed. Its purpose? To help people avoid making pointless trips to the coffee pot when it was empty. The camera was connected to the Internet in 1993, but subsequently dismantled in 2001. What do you use your webcam for? Any cool ideas you’d like to share? Tell us in the comments below! Explore more about: History, Webcam. I use one with yawcam and manycam (and noip) to keep tabs on my healthy but elderly mother who lives alone. I have it pointed in a way that cover a good portion of her house (laundry, kitchen, dining, living and bedroom door) without much privacy concerns. I don't have to be watching 24/7, since yawcam snaps a picture when it sees movements and saves it in a shared Dropbox folder, so I know that she has been moving about the house.